As Basketball players, we have it pretty lucky. You don’t have to worry about your baseball smashing a neighbor’s window, or seeing your football take a dive into a bush. Like Soccer, we have the advantage of being able to practice in smaller areas. 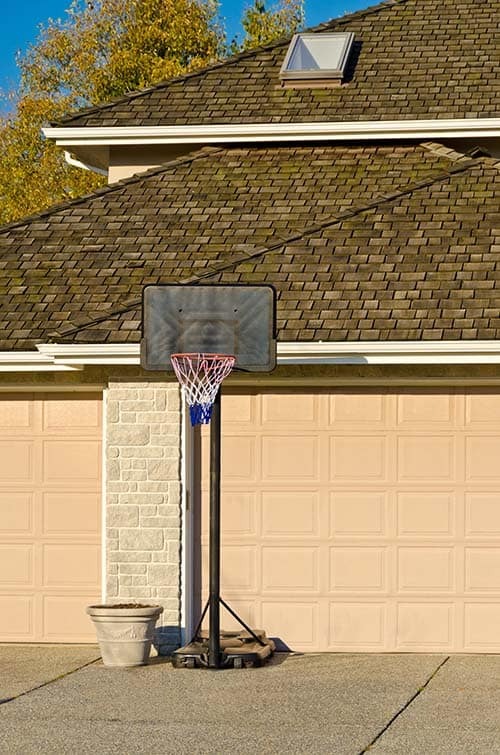 For many of us, the driveway or backyard is the best place to practice Basketball outside of our real training schedules. And when you think about it, that makes us really lucky. We can make a fool of ourselves and practice jump shots and dunks until our hearts are content. Ideally, the surface should be flat. If dribbling isn’t your focus, this becomes even less of a necessity, as making shots or dunks is largely unaffected. Of course, there is a price for this luxury – you need to purchase a hoop. 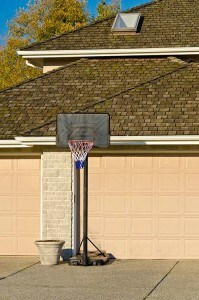 A portable basketball hoop is the most versatile hoop, but an in-ground hoop has its own advantages. The price can vary a lot, but there are some absolute steals to be had if you look around. In any case, if you’re serious about Basketball, consider putting that Christmas PS4 on hold and getting a hoop if you haven’t got one already. Mounting a hoop to a wall using a mounting bracket is another option. They’re usually cheaper, and as long as you have a place to mount them, they’re easy to set up. The main drawback when it comes to mounted hoops is the lack of clearance between the hoop and wall, making under the hoop plays more difficult. It makes a ton of difference to have one of these nearby. 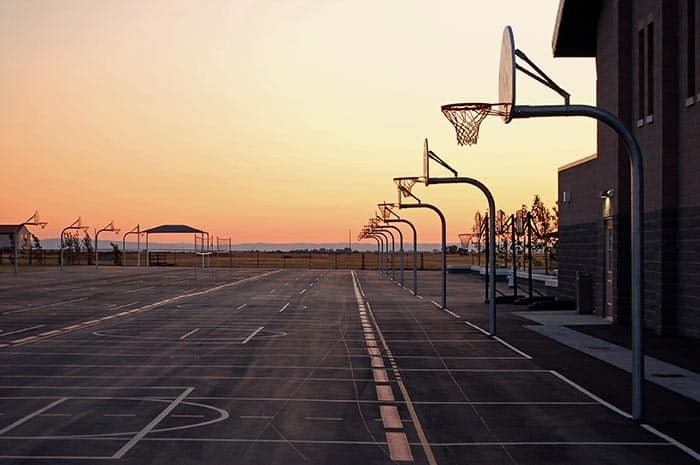 They’re often empty, so you can practice in peace, but there’s also opportunities to play ball with other people. They can be a great place to make new friends, and time literally flies when you’re having a good time. Really, you should already know if you have one of these nearby. If you’re living in a populated area, check out https://www.courtsoftheworld.com/, they have a pretty comprehensive list of courts you can check out on an interactive map, and you may even find yourself spoilt for choice. If you’re unfamiliar with the basketball court, try scouting it out a couple of times and getting a feel for the place. Some courts are often empty, whereas others are always popular for pick up games. Make sure you bring an awesome outdoor basketball along with you – everyone always appreciates the guy that brings a ball! If you have a local community center like YMCA around, there’s a good chance Basketball is one of their favorite activities. You’ll be accepted regardless of your age and ability – there really is something for everyone at these places. If you happen to be really unlucky and not have anywhere to practice outside school hours, basketball camp or your weekly visits to a distant court, remember that the skills involved in Basketball aren’t all about picking up a ball and landing it in the net. 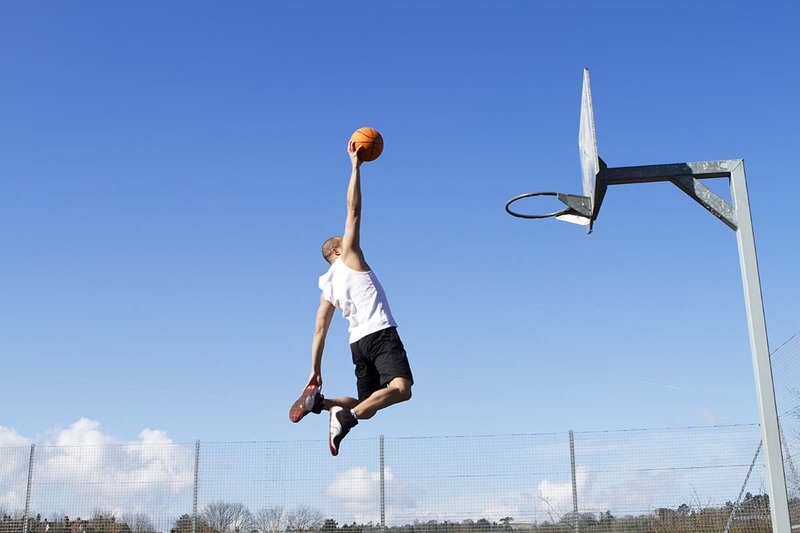 As a website dedicated to increasing your vertical jump, it’s no wonder I’m going to suggest working on your jump during times you don’t have access to a hoop. This is exactly what I did, I started training at home without a hoop and just focusing on my vertical jump against a wall. If you have gym membership, then you can incorporate weight lifting into your routine, as instructed in a jump-specific program like The Jump Manual.